Today’s Western Mail Arts Sections includes a very nice article about the project and the history of the Park and Dare Theatre. It is the last rehearsal tonight before next week’s performances. Everyone is very excited about the project and it will be great to see some of our youngest performers taking steps on the stage for the very first time. 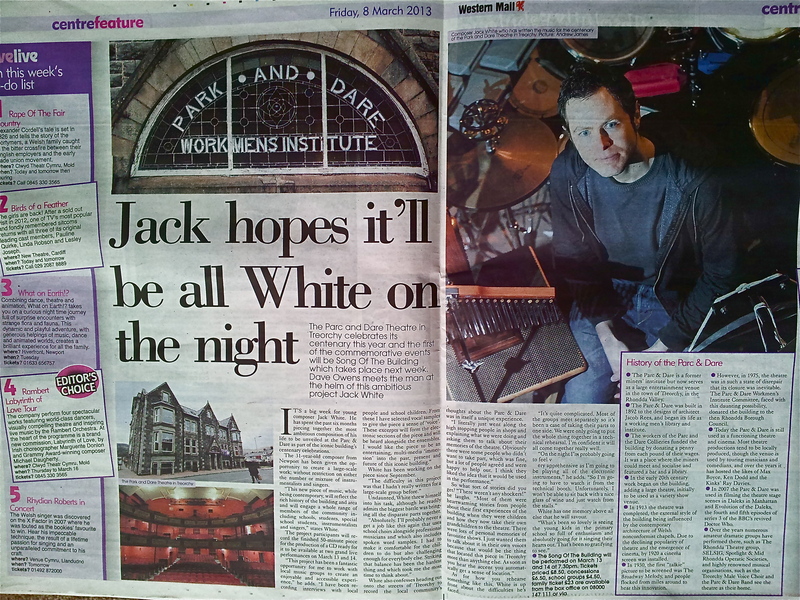 Posted on 08/03/2013, in General and tagged Can Yr Adeilad, Centenary, Jack White, Park and Dare, Song Of The Building, Treorchy. Bookmark the permalink. Leave a comment.